this March! This inaugural concert featuring the Pine Hill Singers and the Evans High School Gospel Choir and friends will “raise the roof” as we all come together for an evening of song and rejoicing. With selections made famous by The Tri-City Singers, Mississippi Mass Choir and The Gaither Gospel Singers, among others, the combined choir will offer the exciting music and the inspirational lyrics to take the audience to new heights. Come and experience the celebration! will be held at 7:00pm on Friday, March 7 at Pine Hills Community Church, 1305 N. Pine Hills Road, Orlando, 32808. General Admission tickets are $10 each, and children age 12 and under will be admitted for free. Joshua Vickery, founder and Executive Director of Central Florida Community Arts, created the organization to create opportunity for artists of all ages to come together and perform. Ticket prices to CFCArts’ shows are intentionally kept low to help make the arts accessible and affordable. Proceeds of all tickets purchased for this show will be shared equally by the Central Florida Community Arts organization, Pine Hills Performing Arts Center and the Evans High School Choral Program. Central Florida Community Arts (CFCArts) is a tax exempt 501(c)(3) entity whose mission is to enrich the community’s quality of life by making the arts accessible and affordable for all. They provide an inclusive and welcoming creative platform where individuals can connect by joining an artistic family, perform for audiences across the socioeconomic spectrum, and use their talents to serve the community. Besides producing seasonal concerts, the heartbeat of CFCArts is to give back to the community by partnering with local non-profits and performing, for free, at their fundraisers or for the clients they serve. Immediate future plans include the monthly Spotlight Series, as well as the continuing Spring 2014 seasons of the organization’s Community Choir, Classical Choir, Gospel Choir, String Orchestra, Wind Orchestra, Children & Youth programs and extended classes in their School of Performing Arts. Also a non-profit 501(c)(3) organization, the mission of Pine Hills Community Performing Arts is to transform lives and communities through the arts by bringing together the skills and passion of a highly developed team of artists and art educators to engage every segment of the community – from the gifted and talented to the undiscovered and under served. Besides the Pine Hills Singers, a community gospel choir, PHPAC offers classes in ballroom dancing, instrumental music, vocal music, drama/theater performance, fine art / fashion art design / visual arts and creative writing/play writing/screenplay writing. Their “Theater With A Purpose” program deals with contemporary issues facing the Pine Hills community and the world, with such topics as HIV/AIDS, racism, absence of the fathers, love, spiritual, crime prevention and domestic violence awareness. An annual arts festival showcases national as well as local talents in the graphic arts. 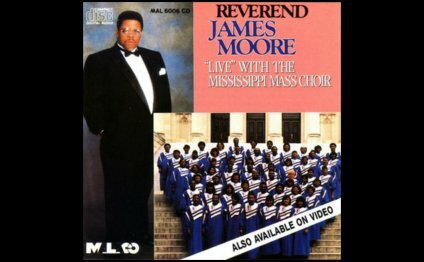 Mississippi Mass Choir "Near The Cross"